Naga and Caramoan, checked! We are down to our last stop for this Bicolandia Exploration: Legaspi! After our CWC Experience we headed to SM City to check for the Van that will take us to Ligao where we will be spending overnight before heading to Legaspi City. Thanks to Cholo and her Aunt’s hospitality. It was a fine Saturday morning when we started exploring this side of town. While riding towards Legaspi, I am praying that I will be able to see Mt Mayon in its perfect shape. It has been my dream since I started travelling, to see the beauty and grandeur of this majestic volcano. If you are in Bicol, you will see Mayon all over the place, different views and angles. People here are so lucky to have this sight on a daily basis. From Legaspi proper, you can ride a jeepney to Cagsawa Crossing and then walk or ride a tricycle to the entrance of the park. Aside from sight seeing, buying souvenir items, eating, you can also be more adventurous and take the ATV Adventure to the foot of Mt Mayon. After a short sight seeing at Cagsawa Ruins, we went back to Legaspi and this time we’re heading to one famous spots in the area: Embarcadero de Legaspi. A world-class waterfront lifestyle hub at the Legazpi City harbor. We had lunch at one of the buffet restaurant, and of course I got Bicol Express! Yes, I am in Bicol so what more can I expect? There Bicol express have more Chili than Pork. lol! After having lunch, yay we got sleepy so we need something to perk us up! We went to Bigg’s Diner to have Coffee. Bigg’s Diner is one famous fast food chain in Bicol. They serve foods similar to Jollibee and McDonalds plus pastries. Unfortunately the cake that Boss Jaymee wanted me to try was out of stock. We are heading back to Ligao to check Kawa-Kawa Hill Way of the Cross and ATV Ride (supposedly). We ride a jeepney bound to Ligao and it took us almost 2 hours to get to our destination. Lesson learned, take the bus instead if you opted for faster way. There were a lot of people in Kawa Kawa Hill when we arrived. We didn't know that there’s a way of the cross procession going on so it’s a bit inconvenient to transfer from one station to another. Gladly, i was able to find way to take pictures on some of them. Unfortunately, the ATV ride is not available on that day because of the event. With sad faces and heavy heart out of disappointment, we went down the hill, rested a bit and decided to have the ATV adventure at Cagasawa Ruins instead. 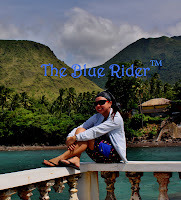 This Bicol trip will never be complete without experiencing it. So we hop on the bus this time for faster ride to Cagsawa. A briefing was conducted by an ATV staff when we got on the site. Briefing included trail preview, safety precautions, tips on smooth maneuvering of ATV unit, signing of waiver and paying of fee for the chosen trail. A guide was provided and taught us the how-to’s of ATV driving . Enough time was also provided for us to practice at the site before finally hitting the trail. Guide was the one who led our queue. He’s also the one responsible for documentation, so no worries for pictures to be shared and uploaded online. Basically, the trail was rough, the kind of trail for a worthy ATV adventure. Trail included grassland, rocky terrain, and my favorite: a number of streams! Accelerating on the streams awesomely made the ride splashy wet! The rocky terrain will require your arms to be vigorous for rocks tend to make the unit get out of the path and maneuvering it back needs some strength. It was getting dark when we headed back to the base but it was one hell of a ride. Of course, we are going back for more and we are taking that course/trail that will take us to the foot of Mt Mayon. Indeed, it’s more fun in the Philippines and the fun is doubled when you experience the beauty and adventure your own country is offering to the world. This is great post on sightseeing, thank you so much for sharing this detail with us. For any detail regarding sightseeing denver, visit Explorer Tours. Seems like you love to do some adventures. Plan your trip with Naples Vacation rentals and explore the great view. Wow!! Seems you have enjoyed a lot. If you like to explore sightseeing then, plan your trip to Algarve and enjoy albufeira water sports activities. These images shows that you have done adventures. Plan your trip with disneyland Paris pride 2019 and explore the amazing destination. Sightseeing is always been adventurous and we generally plan it on vacation. Book your vacation at phuket condo rentals long term for the luxurious trip in Thailand.